Larsen Jewellery offers a wide range of coloured gemstones for your wedding rings. Whilst diamonds remain the most popular choice for wedding rings, many people are opting for coloured gemstones including emeralds, rubies and tanzanite. Birthstones are some of the most popular gemstones used for jewellery. Each month is associated with a particular gemstone, and jewellery based around these gemstones can make a beautiful and thoughtful gift. Other gemstones are said to hold mystic properties for healing and wellbeing. Whatever their background, the myriad shapes, cuts and sizes of coloured gemstones offer endless options for beautiful and unique wedding rings. Larsen Jewellery specialises in custom made jewellery, including wedding rings set with emeralds and rubies. As we make all of our rings to order, your choice of design is not limited to the selection shown above. Whether you want to choose from one of our classic styles or create something completely unique, Larsen Jewellery can make an emerald or ruby wedding ring to suit your individual style and budget. 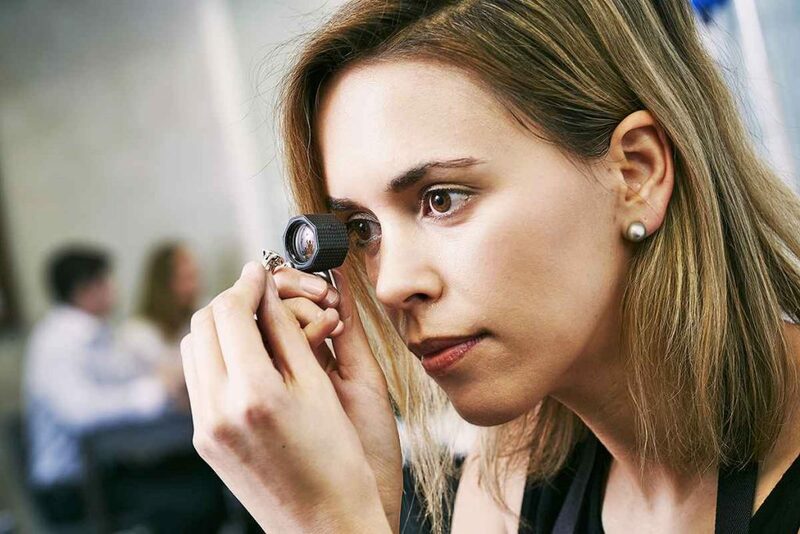 You can use our many display rings to help you choose a style, or alternatively, you can bring in your own ideas or pictures and our jewellers can help you design something special and truly unique. 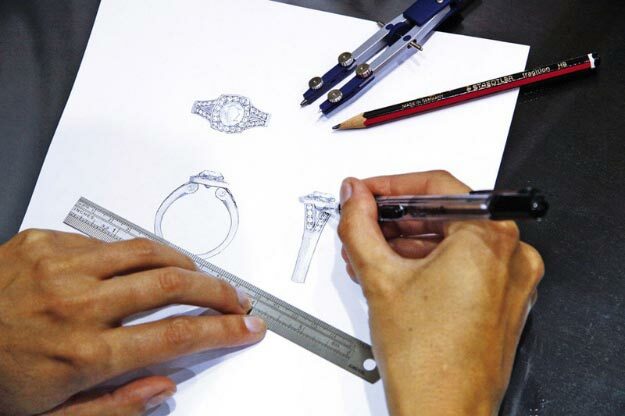 We welcome you to come in for an obligation-free design appointment with one of our jewellers who can advise you on choosing the perfect emerald or ruby wedding ring. We can also help you understand the specific qualities of your coloured gemstone, to ensure that you make an educated and confident choice.